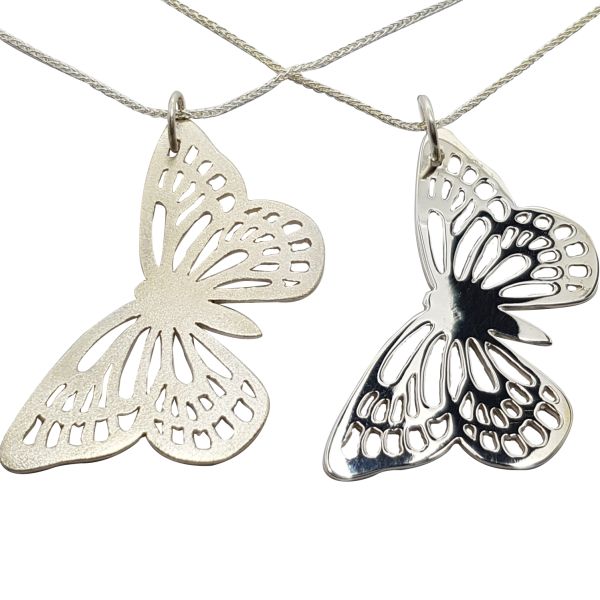 Our butterfly pendant is part of our contemporary collection and is made exclusively by Love from Skye on the Isle of Skye. 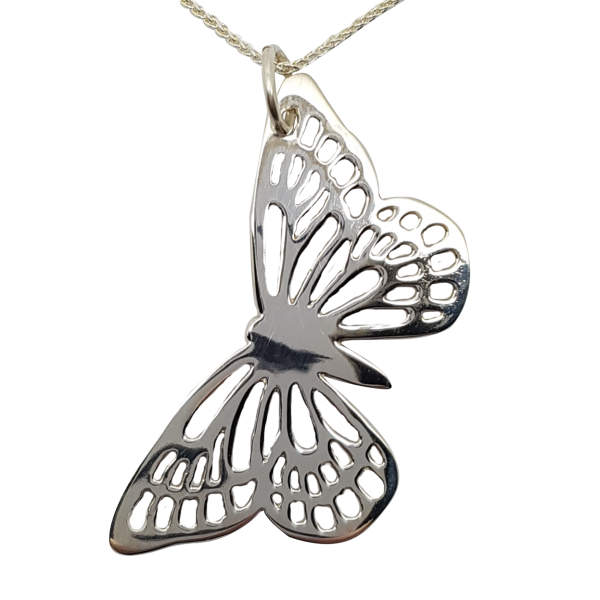 Our intricate cut-out butterfly is made from Sterling silver. 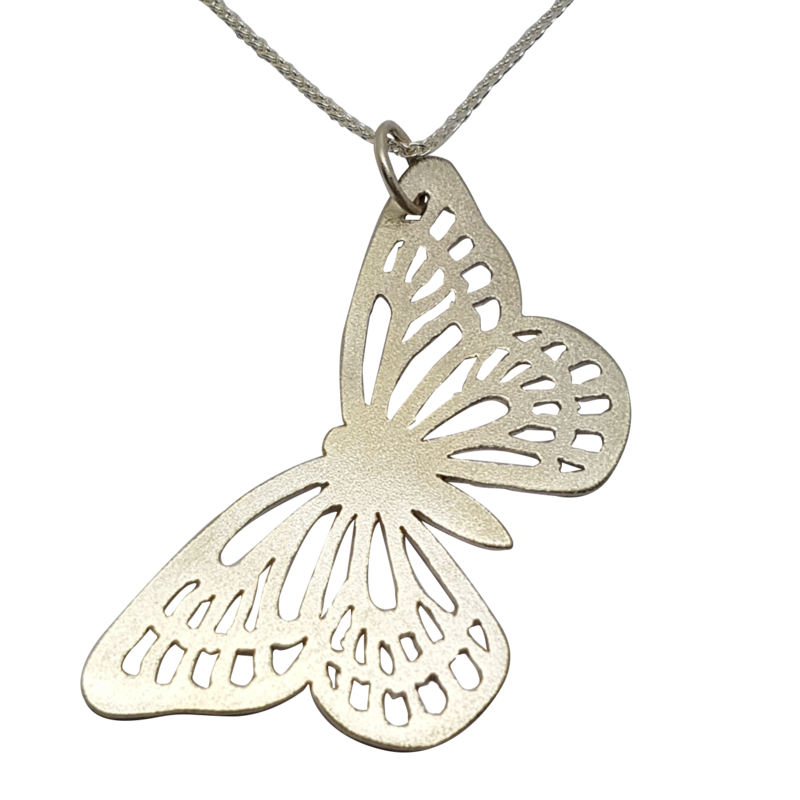 The butterfly, measuring 50mm x 25mm, hangs from one wing on a 24 inch Spiga chain.